Every Saturday at the North Bay Mall from 10 am to 2 pm. Join us for Business After Hours – members and their employees welcome! Hosted by YES Employment from 4:30 to 7:00 pm, 149 Main Street East, North Bay. Don’t forget your business cards to hand out at this networking social. We invite Members to a breakfast presentation of “how the budget will benefit or impact your business” presented by the Minister of Finance and MPP for Nipissing Victor Fedeli. 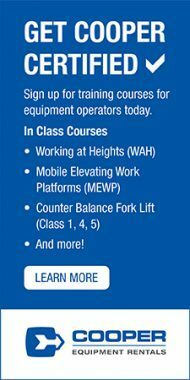 Please register in advance by emailing patricia@nbdcc.ca or call 705-472-8480. 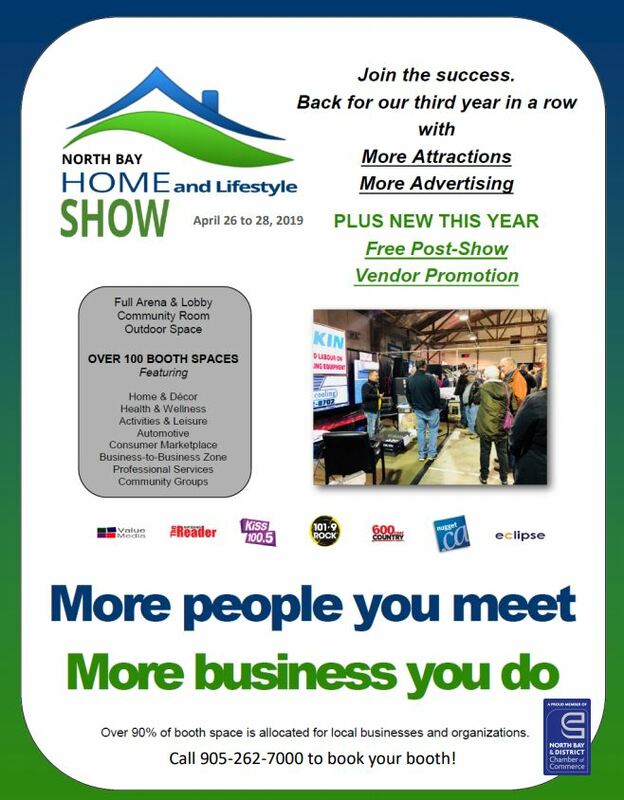 For the 3rd year in a row the North Bay Home (and lifestyle) Show is being presented April 26 to 28, 2019 at the West Ferris Arena. If you would like to book a booth, please contact 905-262-7000 for more details. As the event gets closer, we will post hours for each day. To view their poster – click HERE.